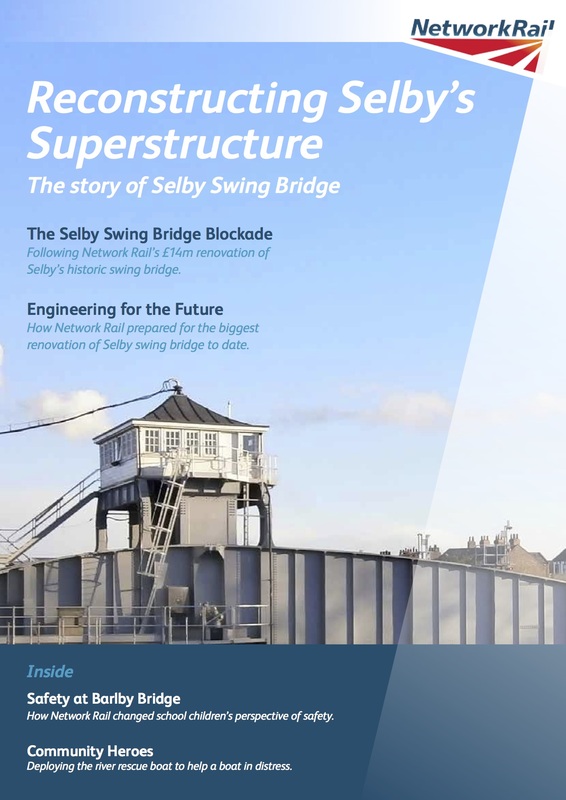 Originally built in 1891 the historic bridge at Selby has long been a must see attraction for train enthusiasts, but it is also a vital link in the east Yorkshire rail network. In urgent need of repair, the bridge was closed to track over a period of six weeks in the summer for essential – and major – engineering works. The scale of the task was immense, involving steelwork repairs, waybeam replacements and a complete overhaul of the hydraulics on the swing span- a challenge even for the experienced workers of Network Rail. Before beginning work on such a signi cant local landmark, it was important to ensure that the people of Selby were fully briefed on the project and had an opportunity to ask questions, so Network Rail organised meetings around the town, visiting community groups and local schools and seeking consensus on a series of measures to ensure the smooth running of the operation. We worked with Network Rail and placed a writer with the team to document the work and associated community work. 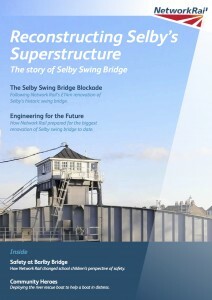 The resulting internal magazine style report helped employees understand the scope and successes of the project and learn valuable lessons for the future.